Plants for Shady Window Boxes? I live on the first floor, and all of my windows face north. If I install a window box, would anything actually grow in it? Yes, plenty! Don’t think an abundance of shade means you can’t grow a window box full of beautiful plants. There are loads of possibilities that would thrive in just such a location, just as there are loads of plants that thrive under trees and other shady spots in nature, and you have at least one key advantage over your south-facing neighbors: your plants will require much less water. Impatiens are an obvious good choice for you. They’re widely available, inexpensive, and they come in just about every color. In fact, next time you’re in any neighborhood with a lot of nice window boxes, notice what’s growing in the north-facing ones. You’ll definitely see a lot of impatiens. You could just buy a 4-pack for each of your window box, plant those, and leave it at that. They fill-in quickly and your windows would look absolutely lovely without too much effort or maintenance. But if you’re feeling a little more ambitious, consider a mix of shade-tolerant plants with showy, sometimes colorful or patterned foliage, says BBG curator Cayleb Long. A lot of tropical, understory plants that are popular as houseplants make good shade annuals. There are many species of Colius, Alocasia, Begonia, Fuschia and Oxalis that fit the bill. 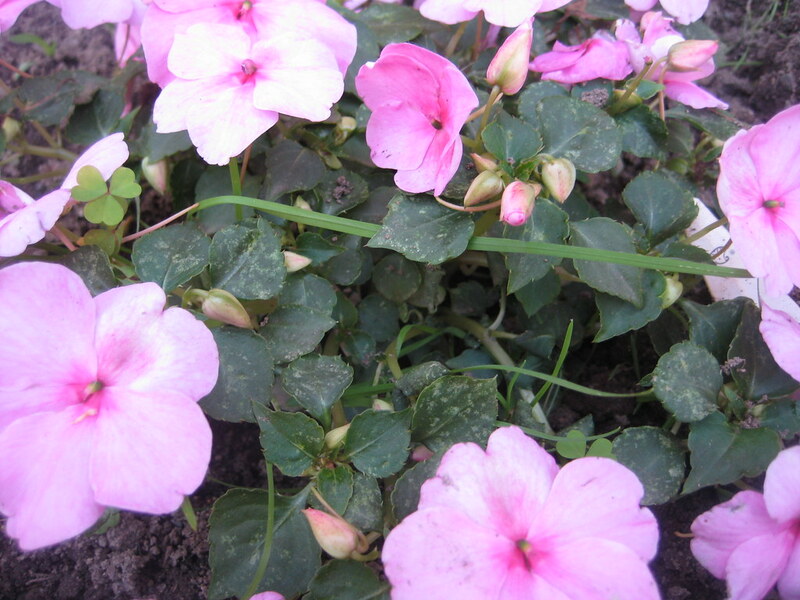 Impatiens thrive in the shade, in containers or in the ground. Photo by Sarah Schmidt.